The Internet of Things (IoT) is showing no signs of slowing down. According to IDC, the IoT market will grow from $2.7 billion in 2015 to $7.1 billion in 2020. The IoT’s effects are being felt across a wide array of industries, and it’s set to transform how cities operate. Smart city initiatives will lead to vast changes in areas as diverse as water management, energy conservation, transportation, public safety and the environment. A recent study by the Computing Industry Trade Association (CompTIA) found that 89 percent of respondents believe that IoT and smart city technology would definitely or probably add value by bringing different aspects of a city into a unified whole. The Smart Cities Council estimates that $1 trillion is being spent annually on smart city initiatives such as self-driving vehicles, smart traffic lights and WiFi accessible bike sharing and cycling lanes. In October 2016, the U.S. government announced a further $80 million in funding for its ongoing Smart Cities Initiative for participating cities. Smart city technology is also being developed globally: Samsung and SK Telecom have teamed up to build a nationwide IoT network in South Korea. This infrastructure will provide renewable energy solutions, cloud platforms and big data analytics for such needs as healthcare and medical services, and for autonomous and electric vehicles. Tech cities are popping up around the world. Learn why cities around the globe are investing in smart technology. 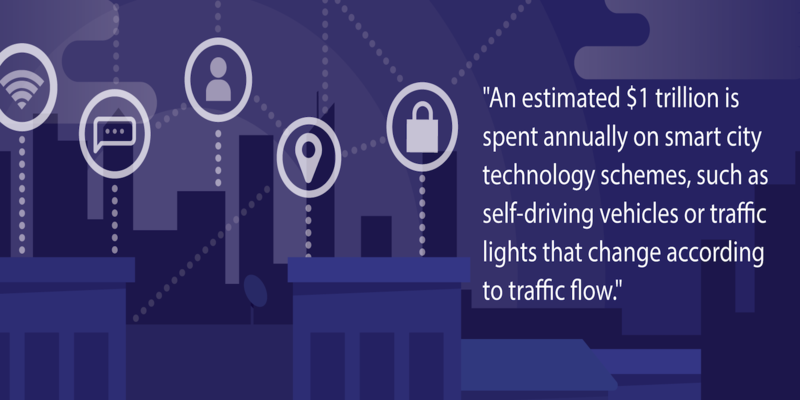 A number of technology developments are making smart city advancements possible. 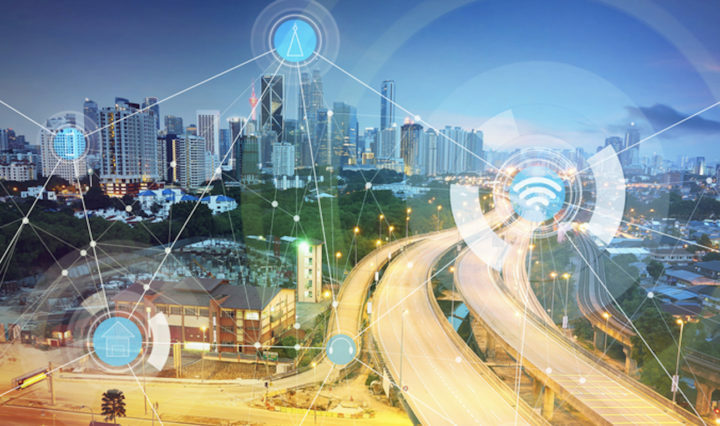 To date, many initiatives related to smart cities have been for indoor use cases, primarily in smart homes and offices, which Gartner estimated will rise to 81 percent of total connected things in use by 2020. In such use cases, IoT devices tend to be deployed in short-range networks. However, many uses for IoT devices that are envisaged for smart city initiatives require wider coverage networks for outdoor deployments. In response, a new set of technologies called low-power, wide-area (LPWA) IoT networks have been deployed. These can be used for efficiently communicating generally small amounts of data across a wide area. To reduce operating and maintenance costs, LPWA devices are equipped with batteries that have a long battery life — generally around 10 years. Examples of where LPWA devices will prove their worth include smart metering for electricity and gas, and smart tracking of vehicles. In 2015, Machina Research identified LPWA networks as being one of the most far-reaching developments in IoT networks. Another requirement for IoT networks is a platform that provides end-to-end connectivity for IoT devices, from hardware such as processors and wireless radios, to the back-end software infrastructure for building connected devices. One example is the ARTIK platform, which provides secure cloud-based services for IoT requirements, making it easier and more convenient to connect the various devices together. The developments will help make the vision of connected homes, cities, manufacturing and much more a reality. Presently, the lion’s share of investment is being made in smart homes and offices as part of the drive toward smart cities. There are a number of smart city initiatives already underway in the U.S., including in San Diego, Chicago and Texas, which could bring greater convenience to citizens worldwide and improve the lives of many. The Internet of Things is poised to not only transform cities, but also businesses from a number of different industries. Learn how the unlimited connectivity delivered by the IoT can transform your business.